Did you know that Ratchet Straps are the number one most widely used cargo securement tool in the commercial grade trucking industry? Ratchet Straps have become a staple for the professional trucking and trailer industry by keeping cargo safely secured. It happens all too often, you are heading down the road of a highway to your destination and on the sides of the road there are debris such as Broken TV’s, Mattresses that have flown off the top of Trucks and SUV’s, and luggage that did not reach its destination due to a lack of safety securement. This could have been avoided if the proper safety procedures were used to help keep roadways clear and other motorists safe. Some of the top tips that our ratchet straps experts with over 75 years combined experience will recommend is always following DOT industry standards and your Working Load Limit that your tie down strap is rated for. Working Load Limit tags also known as the (WLL) may seem like just random numbers at times, but they are what the ratchet strap is safely rated for. Any Ratchet Straps without a (WLL) can prove to be extremely dangerous. One of the main helpful tips for ratchet straps is knowing how to store the Ratchet Straps. Did you know that Ratchet Straps have a preferred way to be stored? Ratchet Straps prefer to be stored in moisture free, dark areas, that are resistant of getting mold or mildew. Some of the top defects that are caused on Ratchet Straps occur from having tie downs stored improperly. Some of the most helpful ratchet strap tips to avoid damage to your tie downs include Mold, Mildew, Rainwater if possible, direct sunlight – (damage from the suns UV rays), Friction from the tie downs rubbing metal corners are just a few to name. Another widely known secret in the tie down industry is keeping your ratchet straps cleanly wrapped to prolong the lifespan of these tie downs. 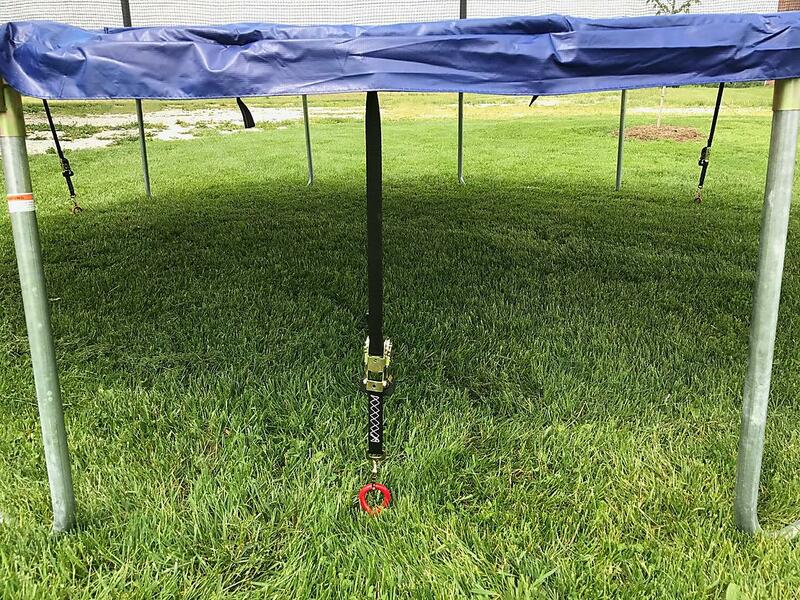 As seen in the video above YouTube user Swedish Homestead shows us a very helpful way to wind ratchet straps up. This ultimately helps prevent clutter using the “Triple R” strap winding techniques. As you can see in this video guide today by Swedish Homestead this is a nice and quick handy DIY tip to stay organized. One of the cons from this method would be throwing a ratchet strap over to the top of a flatbed truck to be secured on the other side. So…. in other words it’s probably not the best idea to use this specific method if you are using flatbeds and want to quickly unwind as it will not work. However, if you plan to pack your ratchet straps for transportation after use on a specifically a flatbed then you can get away with doing so. Although this tip may not be ideal in all situations it will definitely be a nice trick to practice with for when the time comes to roll up your straps like the professionals. Have a ratchet straps tip you would like to share with us? Send us an email using our online contact form and we might showcase your tie down tip next! Some of the many great uses for ratchet straps include campsite securement for tents, gazebos, cargo securement, pickup trucks, professional moving vans, ATV’s, UTV’s, and Motorcycles to name a few. What ultimately makes ratchet straps so great is their ability to keep heavy cargo secured while still being lightweight and moveable. Ratchet straps do not require a lot of lifting in order to secure your cargo making it ideal for the trucking industry, in the back of a pickup truck, in the floor of moving vans, and more! Ratchet straps work best when they are used in conjunction with cargo to help keep the heavy loads secured as their main purpose. What sets ratchet straps as the number one most widely picked tie down straps is their ability to quickly tighten cargo and release cargo. If using Ratchet Straps correctly from start to finish for cargo securement should take you anywhere from 40 seconds to 1 minute on average for most loads. 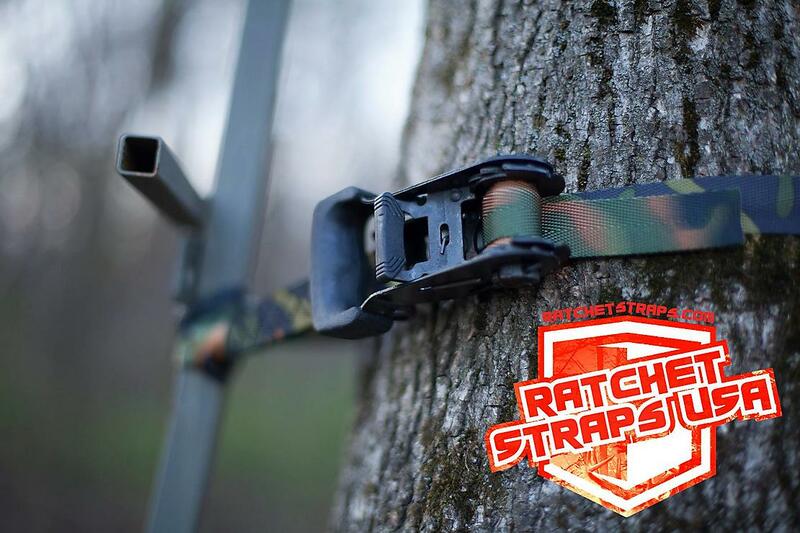 Releasing ratchet straps can be done in just a few mere seconds. These are some of the reasons as for why Ratchet Straps are so popular amongst movers and shippers worldwide. Some of the most useful uses for Ratchet Straps outside of cargo can include transporting your weekend getaway adventure ride. No matter if your weekend getaway starts with a motorcycle, bicycle, ATV, UTV, car, truck, racecar, snowmobile, or another way of transportation our custom made ratchet straps have whatever it will take to get the job done. What does Break Strength Mean? A working load limit is also known as a (WLL). A WLL is the maximum strength that is the allowable amount of force from the load that is assigned to each tie down strap. The webbing and the hardware used by the manufacturer should never exceed one-third of the complete assembly breaking strength that each assembled ratchet strap is rated for. Example a 10,000 lb working load limit would have a 30,000 lb breaking strength. However, due to circumstances such as taking a sharp corner, a driver cutting you off in traffic, or other quick movements that have force behind them can often not always be rated. This is where the Working Load Limit was created in order to help compensate for a force that can not be measured and will always allow for ratchet straps and tie downs to be used at one-third of the straps break strength. Break Strength, also known as Breaking Strength is tested through the ultimate point before failure. For ratchet straps, typically the hardware choice is the weakest link and will fail before the webbing. The importance of this testing of breaking strength is without a breaking strength it is impossible to know what is safe to use for certain cargo load weights and the materials to keep these loads safe. A Working Load Limit, also known as a (WLL) was formed based off break strength and is a world-wide used method for shippers, transporters, movers, and others in the transportation industry to remain safe, as well as others around them. What does Working Load Limit Mean? Working load limit is factored by taking the breaking strength and using one-third of the amount it takes to the failure of breaking strength. Example of this would be 10,000 lb working load limit would mean 30,000-pound break strength. However, this number of working load limit may only apply to select tie-down straps. Due to the choice of webbing strength, webbing size choices of 1-inch webbing, 2-inch webbing, 3-inch webbing, and 4-inch webbing, as well as, options of lightweight or heavy duty, and Hardware assembly choices may vary working load limits. It’s always important that the tie-down straps you intend on using all have a clearly readable and also visible working load limit to comply with Department of Transportation industry standards. As a good rule of thumb it is always important to look over your ratchet straps before using the ratchet straps for any ratchet straps defects or potential damage that is caused by the tie down straps. Possible defects can cause harm to the strength capabilities of your tie down straps and if you ever question tie downs of not being safe or see any possible defects on the straps, please do not use the tie downs they will need to be replaced.